India’s yearly Union Budget is when the government lay out its finances, estimates, policies and much more. This is also when the government accounts for its revenue and expenditure. India’s yearly Union Budget is when the government lay out its finances, estimates, policies and much more. This is also when the government accounts for its revenue and expenditure. But the budget is much more than that, the union budget of India has its own rich history, it’s an occasion when our democracy is celebrated, it’s a festival of sought. James Wilson, Finance Member of the India Council presented the first Budget in India on February 18, 1869. The first Budget of Independent India was presented by the first Finance Minister of India R.K. Shanmukham Chetty on 26th November 1947 at 5 pm. The tradition of presenting the Budget at 5 pm was a colonial tradition that was practised till 2001, this was when the then FM Yashwant Sinha changed it and started presenting the budget at 11 am. After India became a Republic, John Mathai on February 28, 1950 presented the first Budget of the Republic of India. On which date the budget would be presented is actually decided by the President of India. Morarji Desai has presented a total of 10 union budgets which is the most for any Finance Minister. Also as he was born on 29th February he presented two budgets on his birthday in 1964 and 1968. Jawaharlal Lal Nehru in 1958-59 held the union finance minister portfolio and thus became the first prime minister of India to present the budget. Indira Gandhi became the first and the only woman Finance Minister to present the budget when she held the Finance portfolio from 1970 to 1971. Jawaharlal Lal Nehru, Indira Gandhi and Rajiv Gandhi have presented the budget as serving Prime Minister of India as they held the Finance portfolio. Since 1955-56 all Budget papers are prepared and presented in Hindi too, along with English. Mentioned below are some other interesting facts about the India union budget. Halwa Ceremony – India is the land of rituals, thus why should the Indian Parliament be any different? Halwa Ceremony is a ceremony which precedes the printing of the budget documents. In the said ceremony Halwa which is a sweet dessert is prepared and served to the officers and staff of the ministry who are involved in preparation and printing of the budget documents. The Halwa ceremony is attended by the Finance Minister himself who also serves the dessert to his officers and staff. In Indian culture before the beginning of any endeavour eating something sweet is considered auspicious hence the ceremony. The special North Block printing press is used to print the Budget documents and this is the basement where the Halwa ceremony is conducted since 1980.After the Halwa Ceremony around 100 officers and staff who are involved in preparing and printing the Budget are kept in total isolation to maintain complete secrecy. Only emergency calls and that to under strict supervision are permitted. Printing of the Budget documents takes around a week to ten days. Only just before the FM starts delivering his Budget speech are the staff permitted to communicate with the outside world. 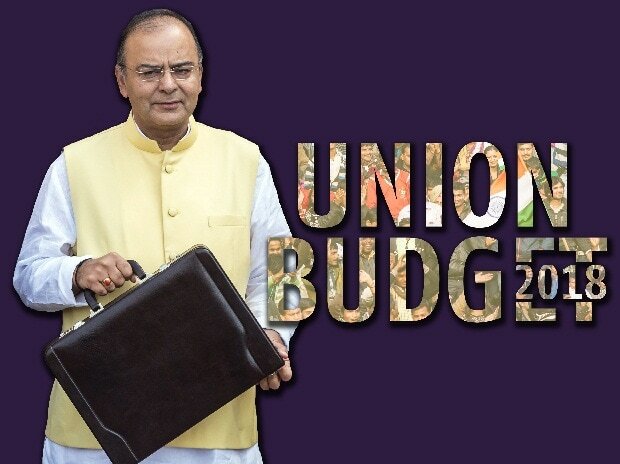 How the Budget is prepared – Preparation of the annual union Budget is a tedious and lengthy exercise. Ministry of Finance, Comptroller & Auditor General of India, the Planning Commission and the Administrative Ministries are the primary bodies that start the work on the process of Budget formulation a good 5 months before the actual presentation of the Budget. All along compulsive emphasis on secrecy is maintained and constant updating of data which is used in the process is done. The entire process is divided in to four phases namely Budget formulation, Budget enactment, Budget execution and Legislative review. The ball is set rolling in the month of August-September itself when the budget division of the department of economic affairs which works under the Ministry of Finance issues the annual budget circular. Initially the Budget documents were printed at the Rashtrapati Bhavan. After a leak in 1950 the printing venue was shifted to a press at the Minto Road in Delhi. Finally in 1980 the printing venue was shifted to a special government press in the North Block’s basement. Other interesting facts about the Union Budget of India – A secret sheet known as Blue Sheet is maintained during the Budget preparation process. The Blue Sheet is called so as the colour of the sheet is blue. The Blue Sheet contains all the significant numbers from the Budget and is constantly updated throughout the process of Budget formulation. The secrecy of the super guarded Blue Sheet is entrusted on the Joint Secretary of the Finance Minister. Not even the Finance Minister is allowed to carry the Blue Sheet out of the North Block. Only a handful of very senior officials get to actually see the Blue Sheet. Another interested fact about the Budget is that on the day of the Budget the Finance Minister first visits the Rashtrapati Bhawan, where the FM and his team first brief the significant points of the Budget to the President. Next in the parliament, the FM meets the PM and briefs him and his cabinet about the salient features of the Budget. After which the Finance Minister accompanied by the Prime Minister visit the Lok Sabha where the annual general Budget is presented.